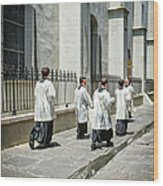 Nice image, KK. 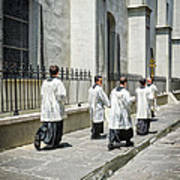 Like how the last guy seems to be hurrying to catch up. 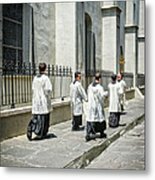 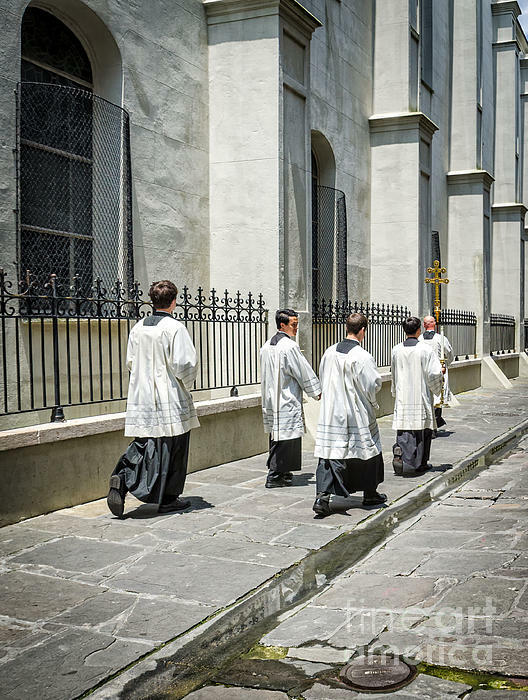 After mass at St. Louis Cathedral, the priest and altar boys dressed in religious attire walk down Pere Antoine alley in the French Quarter of New Orleans.